Wildlife lovers gonna love this as South Africa offers you with the best safari of wild animals around the world. These places are so incredible you will be driven away by them. Enjoy 11 Thrilling Wildlife Safari Experiences In South Africa: World’s one of the best safari destinations is what defines South Africa. Blue and bright sky, shining deserts, forests, green mountains, sheer deep sea along the coast – you name it and South Africa already plays it. For adventure seekers, South Africa credits to be your lifetime experience packed in a time of few days. 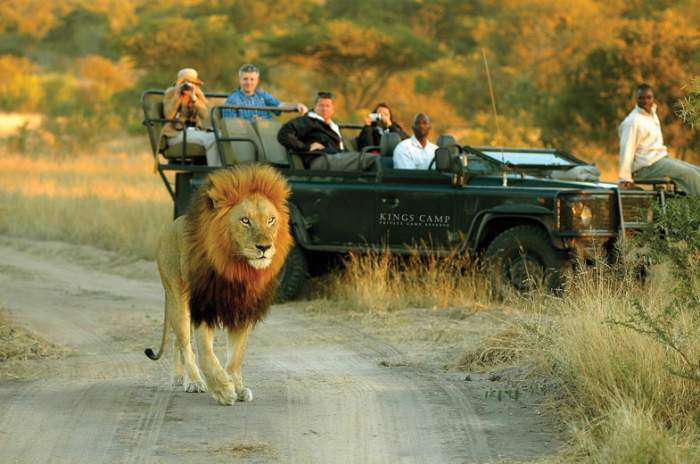 If you love traveling, South Africa offers you exotic safaris like no other. The country offers you a chance to meet the Big Five which includes lion, rhino, elephant, buffalo, and leopard. Find the beauty of dangerous forests in the Kruger National Park, Hluhluwe-Umfolozi Game Reserve, Kgalagadi Transfrontier Park, Addo Elephant National Park, and several other reserves in the region. If you are a person who loves roads and long trips, the country’s breathtaking landscapes are ready for an excellent road trip. There are some wonderful routes for a perfect and amazing road trip, such as Garden Route, Route 62, Wild Coast, or the Waterberg Meander. 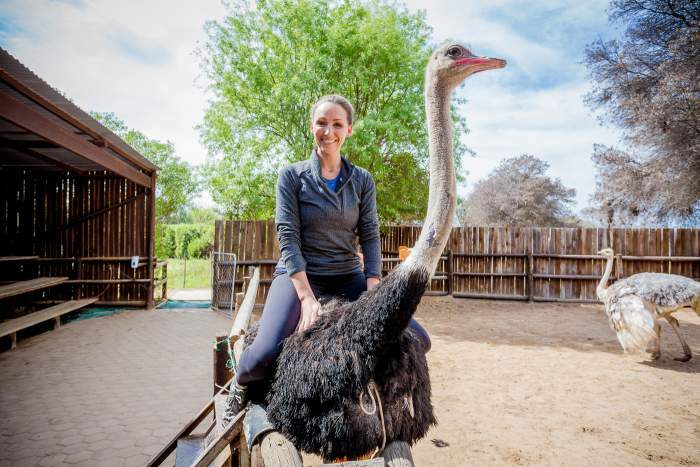 The Ostrich Safari Park in Oudtshoorn is the world’s ostrich capital. This beautiful farm is owned by local ostrich farmers, spread over an area of 1800 hectares and offers you guided tours alongside a gift shop to pick souvenirs (a keepsake from the event) for you, and a cafe to refresh your mind. You can see likely 150 birds at the same time, proudly blooming in their natural habitat. The delightful thing is – you can actually ride an adult bird here, be assured that it’s an adventure of a lifetime! Sounds amazing? It feels amazing too! Where To Find: Visit Safari Ostrich Farm at R328, Oudtshoorn, 6620, South Africa. 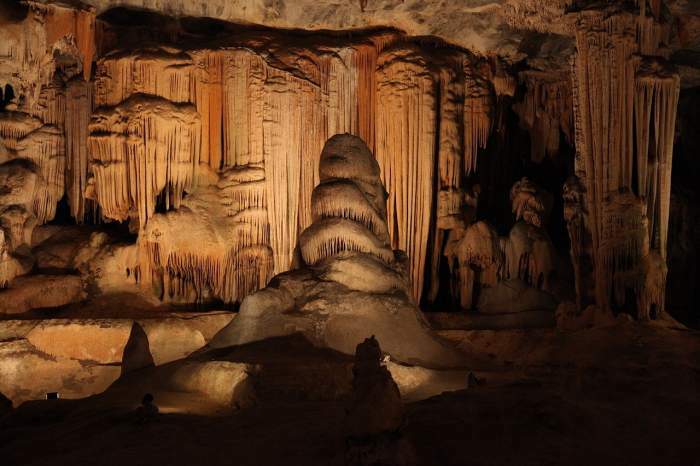 Cango Caves, located at a distance of only 29 kilometers from the Ostrich Farm at Oudtshoorn (17 kilometers away from the town of Klein Karoo), the caves are the wonders of nature when you talk of stunning cave formations underground. You will see a thousand years old stalactites, stalagmites, and complicated dripstone caverns. But what mostly attracts the thrill-seekers to this point is the Devil’s Chimney, which is just 45 centimeters in width. An average person can easily fit through it, but climbing up the chimney is challenging. 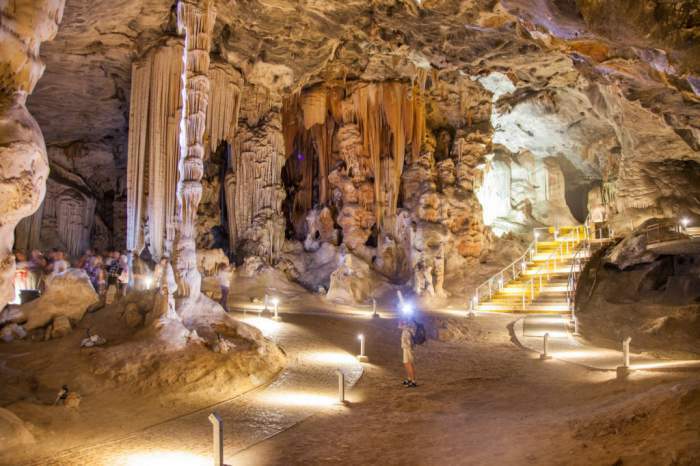 Where To Find: Visit the Cango Caves at Cango Valleie Road, Oudtshoorn, 6625, South Africa. 3) How It Would Be To Swim with A Shark? If you have seen the Deep Blue Sea, and want a thrilling experience that roams around the sharks, here’s your chance! Dive deep sea into the sea which has recently become popular to see the sharks swim by you. Wow! Don’t worry, you’ll be in a cage. The cage then gets down into the sea and you can watch the world’s most dangerous predator swim around you. 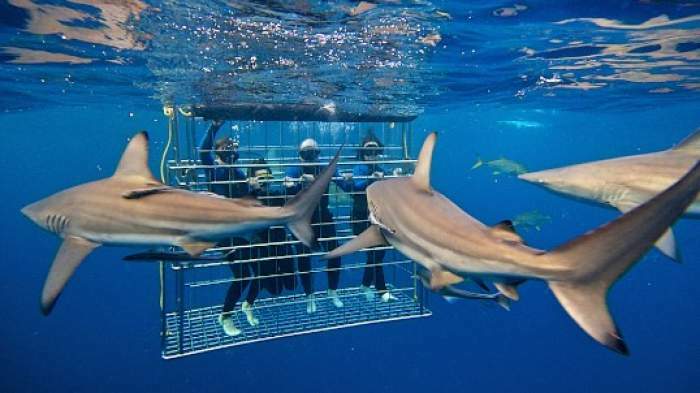 Shark Cage is the best experience you’ll ever have during the South African winter, which is May-October. You can have this opportunity at Mossel Bay or Gansbaai. Gansbaai is at a two hours distance from Cape Town, located 163 kilometers away. Where To Find: Go for shark cage diving at 9 Kus Drive, Kleinbaai, Gansbaai, South Africa. South African wildlife reserves promise you a great adventure because you can find Big Five of South Africa; Lion, Buffalo, Leopard, Rhino, and Elephant You can easily find them all in few days’ time in the private reserves around Kruger National Park (380 kilometers from Pretoria). Some other reserves where you will easily spot the Big Five are the Hluhluwe-Imfolozi Game Reserve (550 kilometers from Johannesburg), Addo Elephant National Park (750 kilometers from Cape Town), Thanda Safari Private Game Reserve (23 kilometers from Hluhluwe) etc. Where To Find: head towards Kruger National Park at Malayan Gate, Nelspruit 1350, South Africa. 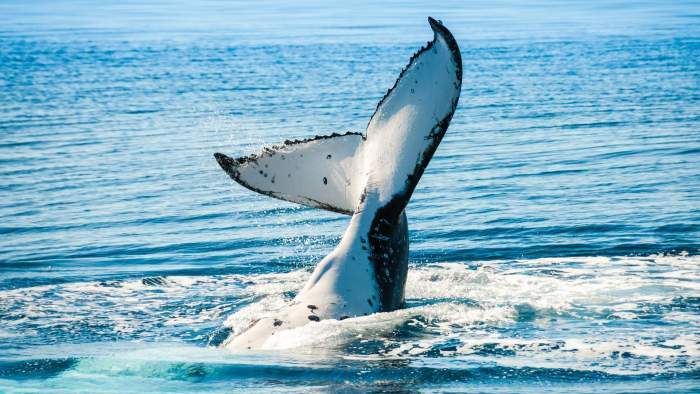 Western Cape’s seaside town of Hermanus, located just 120 kilometers away from Cape Town is popular for its “whale watching” activity from July to November. The best part of this adventure is that you can see the whales from the coast itself. Hermanus is known as the best place in the world to see whales from land. Where To Find: Get the whale watching experience at 148 Westcliff Rd, Hermanus, 7200, South Africa. Situated at an altitude of 3482 meters above sea level, Drakensberg mountains are nothing short of heaven for mountain hikers, along with mountain experts as well as for novice (beginner) hikers. A basic level of fitness is great enough to get to this trek. 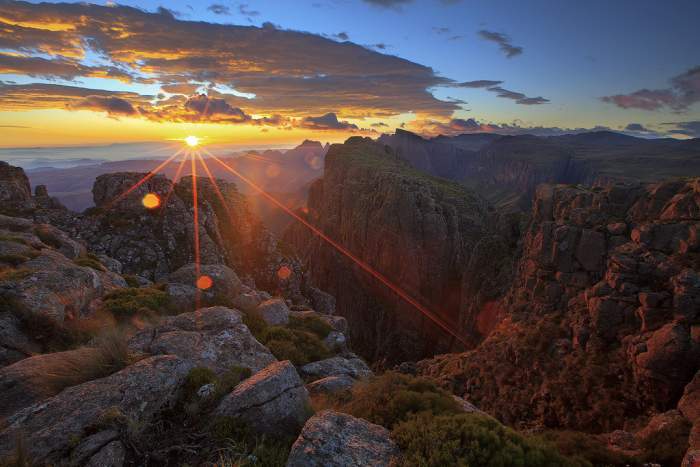 The Drakensberg Mountain is a UNESCO World Heritage Site. This is the place where the Tugela river originates and falls 900 meters below, in the valley. The giant landscape is bound to make you feel incredible, so make sure you start the journey in South Africa with this adventure! Where To Find: The Drakensberg mountains, located in Bergville, KwaZulu Natal. Blyde River Canyon is a unique feature of South Africa, where you get greenery in the middle of the hilly wilderness of the continent. The largest green valley in the world invites you from the height of 6378 feet with the breathtaking views of the surrounding hills, mountains, the Blyde river gushing around and the bright blue South African sky. The canyon is made of red sandstone and has its highest point at Mariepskop (6378 feet). Where To Find: Enjoy hiking at the green canyon from the Blyde River Canyon Nature Reserve. At 200 meters, the steep mountains of Cape Point and the rocks stand out from the sea. 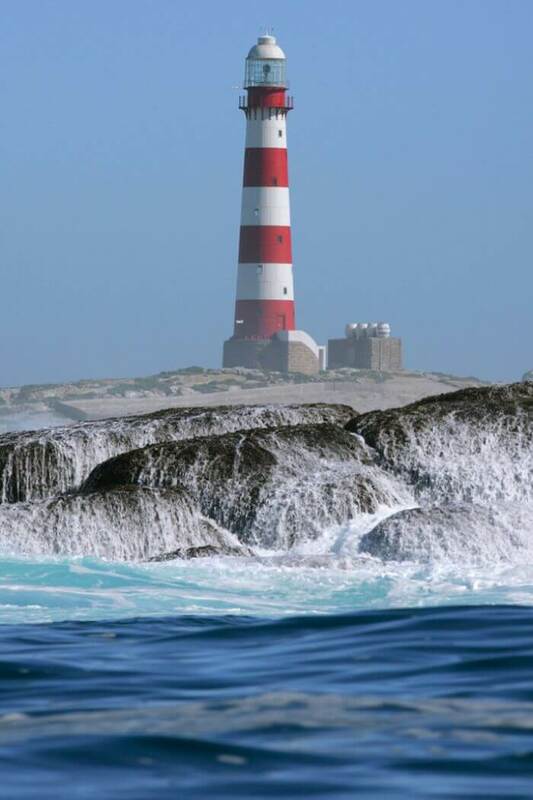 Portuguese sailor Bartolomeu Dias named this point as the Cape of Storms. Cape Point is located approximately 71 kilometers from Cape Town and can be reached by public transport or by a vehicle on rent. In the early days, the rocky edges of Cape Point were the reason for numerous shipwrecks as the shores weren’t visible because of the fog at night until it was too late. Eventually, a lighthouse was built in 1859, which prevented such accidents. You can trek to the very end of the Cape of Storms and climb to the top of the Lighthouse, where you can see the endless sea. Where To Find: Go hiking to the lighthouse at Cape Point, Cape Peninsula, Cape Town, South Africa. 9) Love Kayaking in Waters Full of Crocodiles and Hippos? This Is It! Also Read: Safari Holidays – Get Ready To Go On A Wildlife Journey! In Northern KwaZulu-Natal, the waterways of St. Lucia are instead shocking for the number of crocodiles and hippos, which are hidden in the water. So what comes the exciting part about such a place? You can actually make your way through these waters, while these dangerous wild animals are all around you. The interesting thing about hippos and crocodiles is that they really don’t need any human to irritate them in order to attack. So be careful because you go through the waters! KwaZulu-Natal is located 468 kilometers from Johannesburg. It’s one of the best wildlife safari experiences in South Africa. Where To Find: Have the pleasure of kayaking with the wild animals at the iSimangaliso Wetland Park, St. Lucia. 10) How about a Jump from Bloukrans Bridge? A very popular site for Bungee jumping, the Bloukrans Bridge gives you adrenaline rush with its jump of 216 meters into the Bloukrans River Valley. This is the third longest bungee jump in the world. It’s free fall of about 709 feet before being pulled back. No matter how peaceful those surrounding appears, jumping from the bridge makes you excited, which is difficult to come by. If you are planning to go for this game, it’s advisable to book your tickets 48 hours in advance. Bloukrans Bridge is located just 198 kilometers from Port Elizabeth. Where To Find: Go jumping from Bloukrans Bridge near Nature’s Valley, Western Cape, South Africa. This Wild Coast in South Africa is one of the topmost adventure destinations. The place is located between Mtamvuna River in the north and the Great Kei River to the south. The wild coast features lovely coastlines, flourishing cliffs, and beaches like Coffee Bay, Mdumbi, Glen, and Bulungula. This spectacular place is home to sneezewoods and yellowwood trees and 150 plus coastal and inland bird species. Considering the birthplace of eminent leader Nelson Mandela, The Wild Coast gives an incredible view of the surrounding, which one cannot miss. It’s one of the best wildlife safari experiences in South Africa you’ll ever have. April to May and August to September is the best time to visit the wild coast.